Students will have access to an open library at their point of need. Students will be supported in becoming independent patrons of the library; utilizing it for a variety of purposes, including information literacy and a life long love of reading. This site is put out by RIF (Reading is Fundamental). Good for both Elementary and Middle. They also have a page of reviews for the 13+ crowd. Reading Planet is designed to help families and children explore the world of books. It features an annotated list of 1,000 children’s books that can be browsed by age group, author or category (for example: popular, classic, award winning). Children can post reviews of their favorite books and read reviews by others. 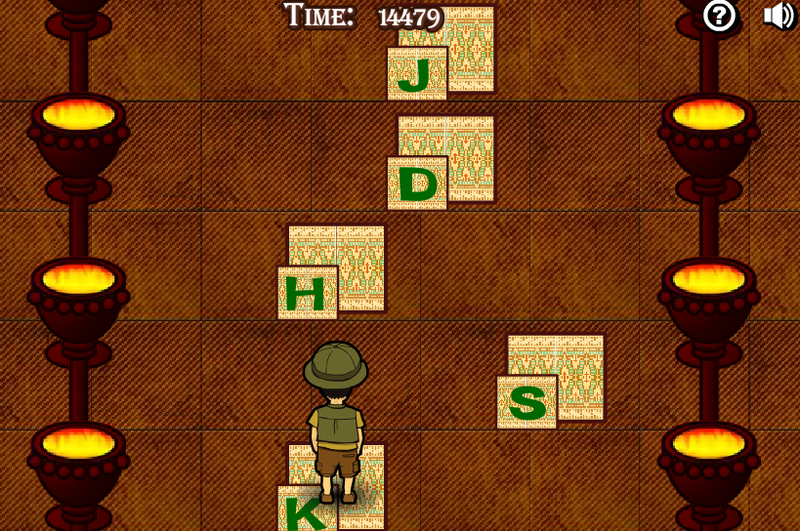 Typing Adventure is a nice little game that young students can use to practice their typing skills. To play the game students just have to visit the game site, read the directions, and press start. The game scenario presented to students is a character leaping from stepping stone to stepping stone. To move along the path students have to type the letters of the stones they want to jump to. Students earn points based on speed and accuracy. Parents, need a little extra help with finding web-sites with accurate information for your students to research their homework assignments? We have district approved web-sites that are just a click away, and your student can access with their district password. FYI - This article on finding the right book for children to read may be helpful to parents. Jack and Jill, Humpty Dumpty, Sing a Song of Sixpence and last but not least Hey Diddle Diddle! These examples of nursery rhymes have been passed down from generation to generation up to thirty times! It's no wonder the historical origins have become obscure. Even though the nursery rhymes lyrics may have changed only slightly over so many re-tellings, the English language itself has changed over the last six hundred years, as anyone reading Shakespeare for the first time could not fail to notice! We thought of "101 Reasons to Read", can you think of more? "Reading is a Treasure for Life" click here to learn more.